Our Public Information Centre offers more than 500 films for a complete introduction to every aspect of Dianetics and Scientology, including the beliefs and practices of the religion and a biographical presentation on the life and legacy of Founder L. Ron Hubbard. Our Information Centre further presents exhibits on the many humanitarian programmes our Church sponsors. These include a global network of literacy and learning centres; a worldwide drug rehabilitation and prevention programme; an equally far‐ranging human rights initiative; and our Scientology Volunteer Minister programme. Visitors are welcome to tour the displays at their leisure for as long as they wish and to return as often as they like. Our Church provides for the delivery of all Introductory Services. These include evening and weekend Dianetics and Scientology seminars, imparting an overview of fundamental principles and their application in life—including Personal Efficiency, which Mr. Hubbard personally directed while living in Johannesburg. Among the many further Introductory Services offered are courses for the study of L. Ron Hubbard’s Dianetics and Scientology books and recorded lectures, and Success through Communication which teaches the underlying skill to succeed in both work and social relationships. There is also an array of Scientology Life Improvement Courses which empower one with tools to better any aspect of life—including relationships and personal integrity; marriage and the raising of children; organising for success and principles of prosperity. It is further provided for the convenience of parishioners on break from their Scientology services. Our Café welcomes those touring the Church or attending our many scheduled events in the adjoining Chapel. L. Ron Hubbard developed the Purification Program to free individuals from the mental and spiritual damage caused by drugs and toxins, through a regimen of exercise, sauna and nutrition—all of which are provided for in our Purification Centre. The mural pays tribute to Johannesburg and the prominent place it holds in preserving the heritage that is Africa. The Hubbard Guidance Centre is where Scientologists participate in one-on-one spiritual counselling, known as auditing. The Academy is where Scientologists train to become auditors (spiritual counsellors), capable of applying the technology of auditing to help others attain spiritual freedom. 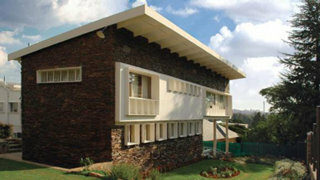 The Johannesburg Academy comprises multiple course rooms, each devoted to a different aspect of training. Its responsibility spans the African continent and so it graduates auditors not only for this city, but also for Scientology Missions and Groups in nations from Mozambique to Morocco. As is traditional in all Churches of Scientology, the Office of L. Ron Hubbard stands in honour of our Founder and symbolises that this Church, in a city he once called home, is true to his writings and ideals. In addition to our main Church in the Kensington district, our Dianetics and Scientology Life Improvement Centre stands across the Nelson Mandela Bridge in Braamfontein, neighbouring Witwatersrand University. The Centre is open daily and houses course rooms and seminar facilities providing the full range of Introductory Services. 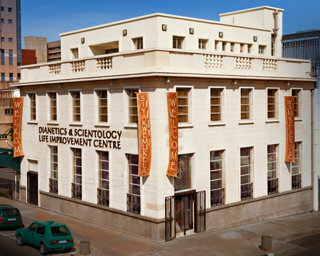 The Centre welcomes all visitors wishing an introduction to Dianetics and Scientology. 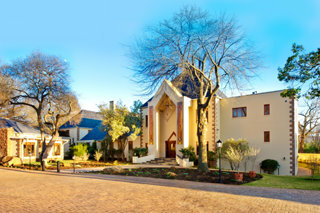 Our Church complex in Kensington, together with our Dianetics and Scientology Life Improvement Centre in Braamfontein, stand in full representation of that dream—fulfilling Mr. Hubbard’s vision that every Church of Scientology become what he termed an Ideal Organisation (Org). An Ideal Org provides the ideal facilities to service Scientologists on their ascent to higher states of spiritual awareness and freedom. Moreover, it is designed to serve as a home for the entire community and a meeting ground of cooperative effort to uplift all people, regardless of colour, creed or social standing. It has been our privilege through the years to collaborate with thousands of individuals and organisations dedicated to creating a thriving future for our Rainbow Nation. We look forward to working together with countless more to realise the hopes and dreams of the next great civilisation indeed. In addition to our main Church in the Kensington district, our Dianetics and Scientology Life Improvement Centre stands across the Nelson Mandela Bridge in Braamfontein, neighbouring Witwatersrand University. The Centre is open daily and houses course rooms and seminar facilities providing the full range of Introductory Services. 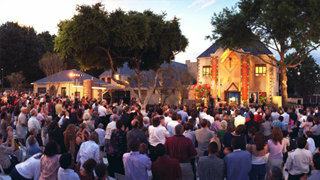 Dedicating the first Ideal Church of Scientology on the African continent, Mr. David Miscavige, Chairman of the Board of Religious Technology Center and ecclesiastical leader of the Scientology religion, addressed South African Scientologists and honored guests at the opening of the new Church of Scientology of Johannesburg on November 2, 2003.